As my Pound-o-nomics post hinted, it is now confirmed that Poundland have discontinued stocking AVP200. Boots now becomes the sole UK film stockist to be found in Cities and most Towns. Canon Sure Shot Megazoom 105 Caption (aka Prima Zoom 105 Caption) with Agfaphoto Vista Plus 200. Incredibly cheap to buy for many years, it looks like global inflationary pressures have simply just caught up. However Poundland’s ability to be able to sell it for a quid for the past 5 years has been amazing (I can still remember picking up a Fujifilm C200 triple pack in 2014 in a supermarket for around £7 before I realised it was the same thing). 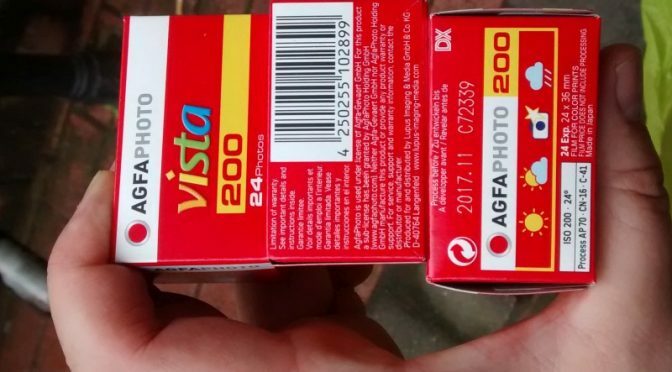 I am afraid we have discontinued the AGFA Vista Film, I am afraid that this item is no longer available in our warehouse and we have no future orders placed. I appreciate this may be disappointing and can assure you our buyers will endeavour to bring similar products to our customer in the future. Well that’s pretty clear. It is hard to see how they will find a new stock of film at that price. Cheap stock to buy from recently defunct companies is no longer an option (and Lomography would probably nab it first) and it is unlikely to 2 current C-41 colour negative producers Kodak and Fujifilm would be able to make a film cheap enough. However bear in mind as my Pound-o-nomic article discussed £1 AVP200 may have actually been a false economy once you factored in processing. However C200 lives on both in Fujifilm branded guise. The Fujifilm branded version has the upper hand at the moment – most likely due to the fact that Fujifilm have dropped Superia 200 in the UK . So those of you who like AVP200/C200 time to raid the remaining poundland stocks. However don’t panic as Fujifilm seems committed to C200 for the foreseeable future. Literally spent the day running round to the four Poundlands in Brighton with no luck. I have little experience with film and only ever bought two rolls that have now expired (dunno how that will affect what’s on them) that I haven’t gotten developed. Shooting on film seems like a rather pricey hobby but those rolls from Poundland seemed like a good entry point. That said my Minolta X-300 has become a paperweight due to its capacotor issue and a broken circuit board. I only have a Petri Micro Compact to work with now but it is fun. Might have to just stick with Digital + Manual lenses going forward. Nick don’t give up. You can still get cheap film easy enough (the amazon 6pack of C200 is a good example). As I’ve said once you add in processing costs these often work out cheaper than using Poundland film as they’re 36exp not 24. One of my UK blog readers and I (in the US) were chatting in comments a couple months ago about this film, and I wished aloud I could get some, and he said, “Hey, I could ship you some. You pay for the film and shipping, and it still going to be cheaper than Fujicolor 200 in the US.” Glory be, he was right. I have 24 rolls of the stuff in my freezer now. Just in the nick of time. Don’t bother trying the Poundland in Carlisle, they’re all out! That being said, I’ve treated myself to some hand rolled ORWO UN54 to cheer myself up! Good job I have around a 100 rolls then as I have been stocking up over a few years. Should keep me going for awhile as I tend to use B/W more than color. I can get 10 rolls of Fomapan 100 35mm/36s for about £30 at my local camera shop in Falmouth. If you bulk load Fomapan 100 it works out about £1.70 per 36 exposure roll from the cheapest suppliers. This seller on ebay seems to have a lot of expired stock, he’s selling it off for around £1 a canister. Tried some myself, results were good. New Kodak colorplus 200 shows up on eBay sometimes for the equivalent of under £2 a 36exp roll, if you buy 20. 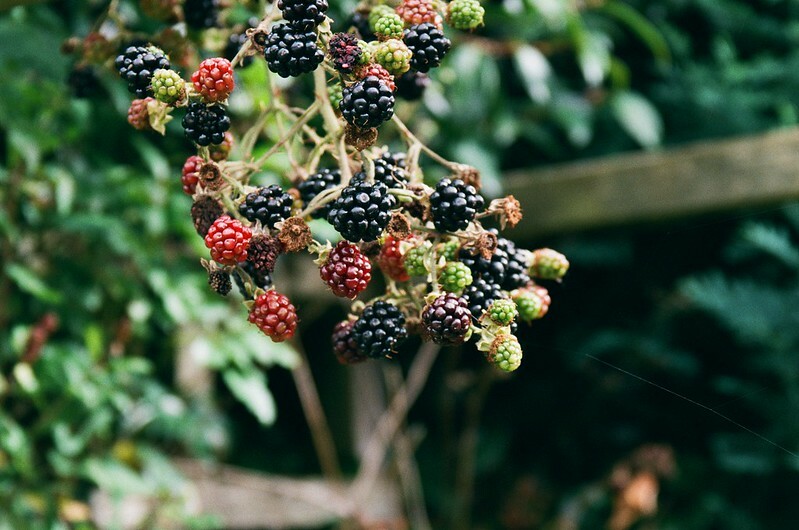 Also I have used the 2001 expired kodacolor 200 Fox Bentley mentioned and it is superb, with age the colour rendition has become more fuji-like, so much so I misremembered one roll of film being superia 400, when it was this expired kodacolor. Bizarrely, the expired kodacolor which was DX rated by my yashica af-mini as 100, performs far better in low light than fresh superia 400. The same goes for ferrania films, some private label ferrania expired in 2003 in a cheap Samsung compact performed better than superia 800 in an SLR with a faster lens, in the same location and same lighting conditions. Which is astonishing really. For Ferrania hunt down Truprint FG+ 200. Usually get on eBay for a quid or 2. It is Ferrania Solaris FG+ 200. Undated so if you get a lot worth doing a bracket roll but I usually shot it at 100 ISO if not. Corker saturated colours. Superdrug, Sainsburys, Tesco, Asda, Co-op, Lloyds Pharmacy, Fotomax, Boots (up until mid-00s when strangely they switched to AGFA) and many other own brand films were various Ferrania emulsions relabelled. In the late 00s it was almost impossible to find an own brand film that wasn’t Ferrania ‘in disguise’. Even some US private label film was ferrania, such as Seattle Photo Works. Almost every obscure little photo developing shop that had their ‘own’ film used relabelled Ferrania too. 🙂 I have a box in my fridge that is relabelled Ferrania under various guises. Right enough. It was known as the film of a thousand rebrands !!! I got a brick of Super HD 200 which was a relatively fresh FG+ rebrand a few years back which is worth looking out for. I wonder if Ferrania spreading themselves to thinly was a reason for their demise? Ironically, I have read on various photography forum threads from the noughties that at one point, even Agfa vista plus 200 was rebadged Ferrania. You couldn’t make it up. If anyone comes across supermarket own brand ferrania 400 expired 2008 onwards, it is totally fine. I used it (Tesco 400 exp.2008) on some horribly grim December days last year, without hacking the ISO, in a cheap Boots compact, turned out perfect exposure wise, lovely colour rendition and has a finer grain than Superia 400. Superia X-tra 400 or Ilford XP2 Super are more readily used by my good self although the former is more grainy than Vista Plus 200.